Oh no he di’int! Samsung just put a little burn on Apple’s tablet on one of their Galaxy Tab 10.1 YouTube ads. 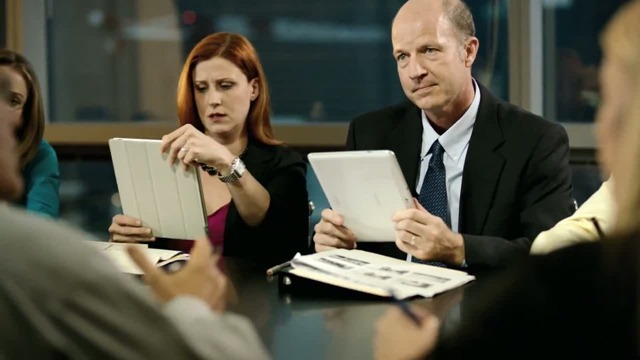 In the video, a convinced user of Samsung’s Android tablet confidently takes on a meeting with his Flash-enabled device, while a distraught co-worker tries to use a similar tablet but with no Flash support. 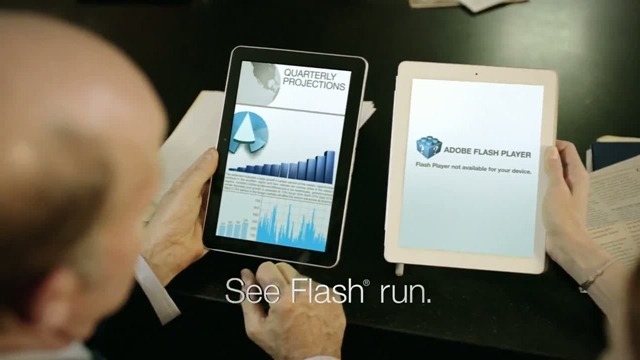 Looking closer, we definitely can tell its an iPad 2, especially since its one of the more popular devices out there that won’t run Flash. Samsung has always regarded Apple as competition, but we guess that they’re taking it to a new level with this ad. The Galaxy Tab 10.1 is Samsung’s new Android 3.0/3.1 Honeycomb device, which was specifically delayed and redesigned to compete with Apple’s iPad 2. Recreated to be thinner and lighter after Steve Jobs announced their new tablet’s specs, the Tab 10.1 is also Flash-enabled due to Android’s support for Adobe’s platform. Samsung Galaxy Tab 10.1–It’s Time To Tab!